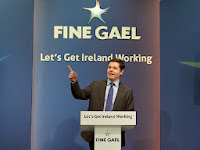 Ireland’s new Minister for European Affairs, Paschal Donohoe TD, gave an interesting speech last week. He made the point that globalisation, of which many people complain, is not something “done to us, but is a consequence of the human desire to communicate, share, and exchange”. He could have added that humans also want lots of variety, and choice in their lives, sometimes to an excessive degree, and that this drives globalisation forward as people go to the ends of the earth to find elusive “highs” in their lives. He went on to say that the European Union gives us an opportunity to “positively mediate the consequences of globalisation”. He is right here too. 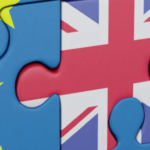 A small country on its own, like Ireland, could have little impact on global trends, but the EU, as a block, can make a difference. Globalisation has been facilitated by the internet, skype, containerisation, cheap air fares, and plentiful energy sources. All these took investment to generate, and would not have happened, if people did not want them or were unwilling to pay for them. These technologies cannot be “uninvented” now. So Globalisation cannot be reversed. It is here to stay. HOW SHOULD WE COPE WITH THE CONSEQUENCES OF GLOBALISATION? But all this variety, all this communication, and all this exchange, does not necessarily make us happier. In fact, the more choices we have to make, the more discontented we can often become. This is especially so, if we feel we have to make these choices to keep up with neighbours or others with whom we feel we must compare ourselves. Choices are hard to make. They require an effort. They involve saying No, as well as Yes. And the more choices you have, the more are the things you have to say No to. The more options you have, the more regrets you may have about the choice you could not make. The more choices we have the more we expect of life, and of ourselves. 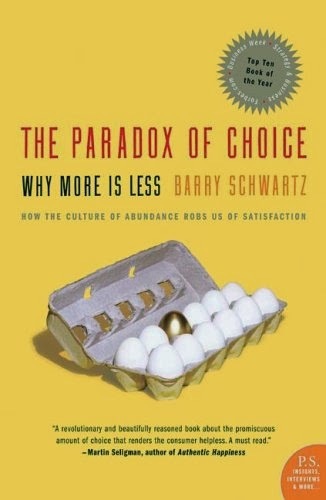 “The Paradox of Choice”, by Barry Schwartz, had the sub title “How the culture of Abundance robs us of satisfaction”. People are shopping more now, but enjoying it less. Increased choice may actually contribute to the recent epidemic of clinical depression. Depression has tripled in the last two generations, despite all the treatments now available, that were not there 60 years ago. 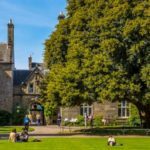 The culture of” more choice” undermines institutions, like churches. Because choice is the priority, people do not want to regard religious teachings as commandments, about which they have no choice, but as suggestions about which they themselves are the ultimate arbiters. 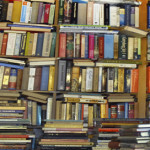 The over estimation of the value of choice may also have something to do with the increased divorce rate, because, as Schwartz puts it, “establishing and maintaining meaningful social relations requires a willingness to be bound and constrained by them.” But constraints are exactly what the ideology of choice rejects! “Studies have estimated that losses have twice the psychological impact as equivalent gains” says Schwartz. In other words, people hate losing 100 euro, a lot more than they like winning 100 euro. This may explain why people in modern well off societies are so anxious, and why, in the face of recent economic losses, many are regressing to old dead end ideas, like nationalism, class warfare, and xenophobia. This should make us stop and think. Economic growth is a good thing, but it has physical limits, as we are discovering with climate change and pollution. Economic growth also has psychological limits, in the sense that some forms of growth increase anxiety by offering people a bewildering array of choices that they do not feel competent to make. Markets only work well if people are informed enough, and have the time and mental energy, to make wise choices. Laws and government subsidies will never be enough. Societies need a strong value system, if they are to be happy. These values must put human respect, ahead of material things, and put human relations ahead of maximising choice. The science of economics is only beginning to recognise this. 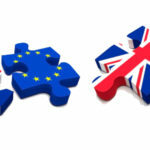 If the European Union is to positively mediate the consequences of globalisation, it must ask itself whether the values of more choice, and more material abundance, imported from economics, are sufficient to build a good society. I believe they are not, but I do not have the sense that that a discussion of alternative and better European values is yet taking place.